According to a study done by Dr. Duane Johnson at the Sleep Center Management Institute, treatment compliance of patients with obstructive sleep apnea is between 40 percent and 60 percent. Most often, patients are reluctant to comply because of discomfort or difficulty with equipment. The ResMed line of CPAP machines offers many options to promote the compliance of CPAP users. 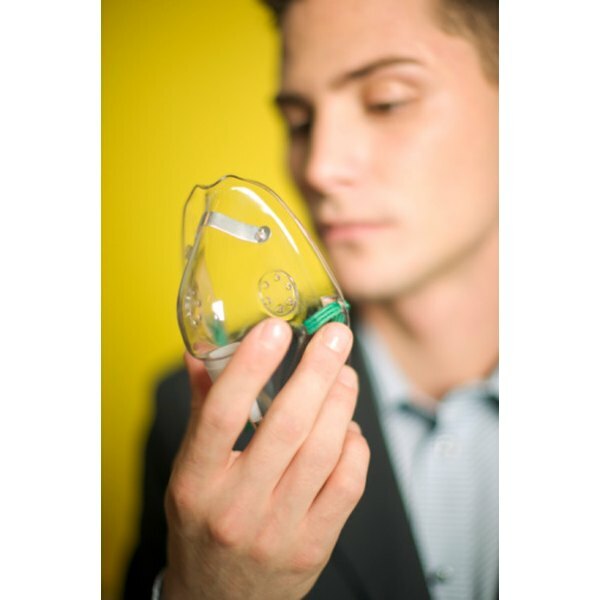 Troubleshooting can solve the majority of the issues that can arise with your ResMed CPAP. Inspect the power cord. Fraying or cracking of the cord can prevent the machine from receiving the appropriate amount of power. Look at the plug, checking to make sure none of the prongs are bent or broken. Plug another electrically powered object, such as a clock or lamp, into the outlet you are attempting to use to determine whether the outlet is working properly. If the outlet is not functioning properly, you will need to locate an alternate outlet to power your ResMed CPAP machine. Plug the CPAP into a working outlet. Make sure the prongs of the plug are inserted completely into the outlet. Press the power button. Contact a ResMed service technician if the machine is still not properly operating. Press the the selection arrows to scroll through the standby menu. Press the left key once you reach the "Ramp" option. Use the arrows to scroll to the "Altitude" (ALT) setting. Confirm the selection by pressing the left button. Select "Change" by pressing the left button. There will be four altitude range settings available. Press the left button to select the setting that corresponds with your current altitude. For example, if you are at an altitude of 5,000 feet, you would select the third altitude range of 4,001 to 6,000 feet. Inspect the air tubing. Inadequate air pressure can be caused by breaks or punctures of the tubing. Straighten or replace tubing as needed. Make sure the tubing is correctly connected to the machine as well as the mask port. Each access port should have a tightly inserted plug. Open the air filter door, located in the rear of the machine. Inspect the air filter. Remove and replace the air filter if it is dirty. Adjust the mask by tightening the straps and repositioning it. The mask should form a tight seal around your nose and mouth.